(7/4/1910) Former undefeated heavyweight champion James J. Jeffries came out of retirement and said, "I feel obligated to the sporting public at least to make an effort to reclaim the heavyweight championship for the white race. . . . I should step into the ring again and demonstrate that a white man is king of them all." Jeffries had not fought in six years and had to lose weight to get back to his championship fighting weight. 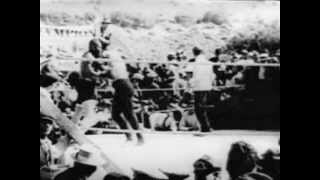 The fight took place on July 4, 1910 in front of 20,000 people, at a ring built just for the occasion in downtown Reno, Nevada. 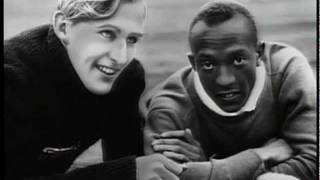 (1936) Jesse Owens of the United States wins 4 gold medals in the 1936 Berlin Olympics. He wins gold in the 100m, 200m, 4x100m relay, and the long jump. 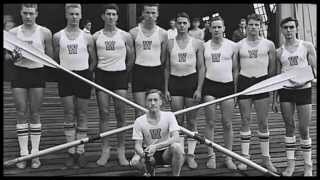 (1936) Before the boys of The Miracle on Ice, there was another miracle team, and they were the 1936 NCAA Rowing Team of the Washington Huskies. This group of 9 boys are among the greatest underdog champions in American history because of their unique and inspiring story. They literally came from nowhere to beat all the best rowing M8 crews in the country and later the world. They were an ordinary group of college kids from the rural North West during the Great Depression. They had never left the state of Washington before competing for the Huskies. Their story takes place during a time in history when when the country needed heroes and, much like the great Jesse Owens, these heroes inspired a nation. 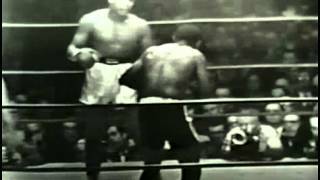 (6/19/1936) Max Schmeling vs Joe Louis (1st meeting) at Yankee Stadium, Bronx, New York, United States. 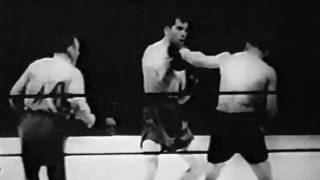 (6/22/1938) Re-match between Joe Lewis and Max Schmelling. 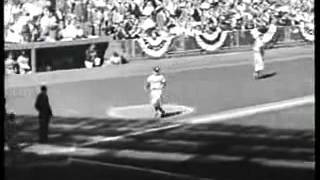 (1955) Highlights from the 1955 World Series between the Dodgers and the Yankees. Jackie Robinson steals home and is called safe. (2/25/1964) The two fights between Muhammad Ali and Sonny Liston for the boxing World Heavyweight Championship were among the most anticipated, watched and controversial fights in the history of sports. Sports Illustrated magazine named the first Clay–Liston fight (Ali had not yet changed his name from Cassius Clay) as the fourth greatest sports moment of the twentieth century. The first bout was held in February 1964 in Miami Beach, Florida. Ali (then Clay) won when Liston gave up at the opening of the seventh round (after being clearly dominated in the sixth). 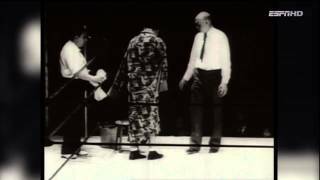 Their second fight was in May 1965 in Lewiston, Maine. (5/25/1965) The two fights between Muhammad Ali and Sonny Liston for the boxing World Heavyweight Championship were among the most anticipated, watched and controversial fights in the history of sports. Sports Illustrated magazine named the first Clay–Liston fight (Ali had not yet changed his name from Cassius Clay) as the fourth greatest sports moment of the twentieth century. The first bout was held in February 1964 in Miami Beach, Florida. Ali (then Clay) won when Liston gave up at the opening of the seventh round (after being clearly dominated in the sixth). Their second fight was in May 1965 in Lewiston, Maine. 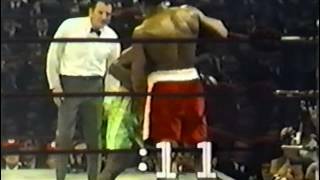 (11/22/1965) Muhammad Ali vs Floyd Patterson (1st meeting). Convention Center, Las Vegas, Nevada, United States. 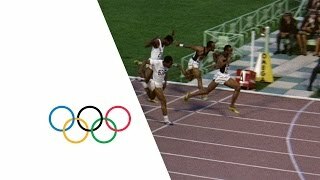 (1968) This official Olympic film of the Mexico City 1968 Olympic Games contains classic moments from the Games with appearances from Bob Beamon, Věra Čáslavská, Bob Seagren and Jim Hines. Director: Alberto Isaac. 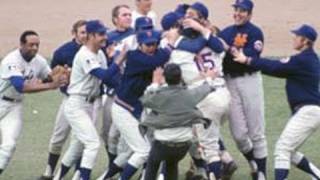 (10/16/1969) The New York Mets rally past The Baltimore Orioles in Game 5 to win the 1969 World Series. (3/8/1971) When Joe Frazier met Muhammad Ali at Madison Square Garden on March 8, 1971, the storyline went much deeper than two undefeated heavyweights clashing for the belt. Ali had refused induction in the U.S. Army and was considered radical chic and seemed to embody the culture of the 60s while Frazier was cast as a champion fighting for the establishment. (9/20/1972) Muhammad Ali vs Floyd Patterson, New York. 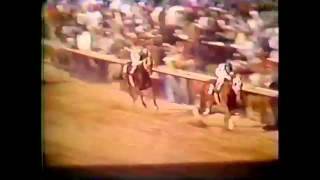 (1973) Secretariat's 3 Triple Crown Races. 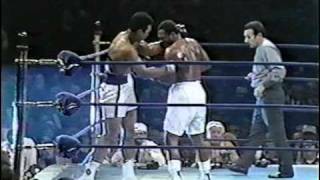 (1/28/1974) Muhammad Ali fights Joe Frazier for a second time, wanting to revenge his first professional defeat and seal the deal for a fight with George Foreman who had taken the title from Frazier the year before. 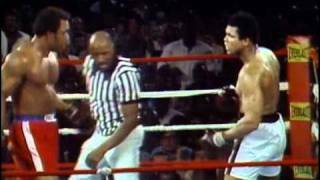 (10/30/1974) George Foreman defends the Heavyweight Championship of the World for the third time against former Champion, Muhammad Ali. Ali at 32, had been given little change against the fearsome puncher who had knocked out both Joe Frazier and Ken Norton, both of whom had beaten Ali in the past, in 2 rounds. The fight took place in Kinshasa, Zaïre (present-day Congo), and was put together by promoter Don King. This is considered by many as the most significant fight of the career of Muhammad Ali. The fight was called Fight of the Year for 1974. Their records at the time: George Foreman: 40-0 and Muhammad Ali: 44-2. (1975) Muhammad Ali vs Joe Frazier in the Manila super fight. 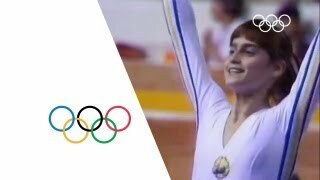 (1976) At the Montreal Olympic Games in 1976, Nadia Comaneci became the first gymnast in Olympic history to be awarded the perfect score of 10.0 for her performance on the uneven bars. 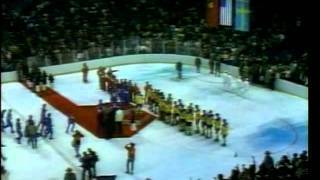 (2/22/1980) The story of the medal round ice hockey game during the 1980 Winter Olympics at Lake Placid, New York, on Friday, February 22. The United States national team, made up of amateur and collegiate players led by coach Herb Brooks, defeated the Soviet Union national team, which had won the gold medal in six of the seven previous Olympic games. 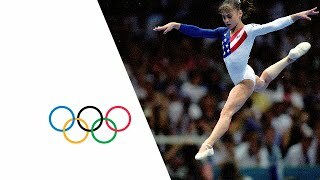 (1996) Highlights from the 1996 Atlantic Olympic Games in which Shannon Miller, Dominique Moceanu, Dominique Dawes, Kerri Strug, Amy Chow, Amanda Borden and Jaycie Phelps, or The Magnificent Seven as they became known, became the first ever female gymnastics team to win the Olympic gold medal for the USA. 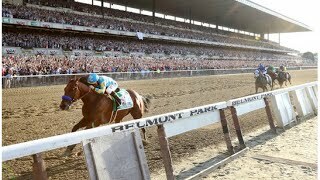 (2015) All 3 races that American Pharoah ran to win the Triple Crown consisting of the Kentuky Derby, Preakness, Belmont Stakes.